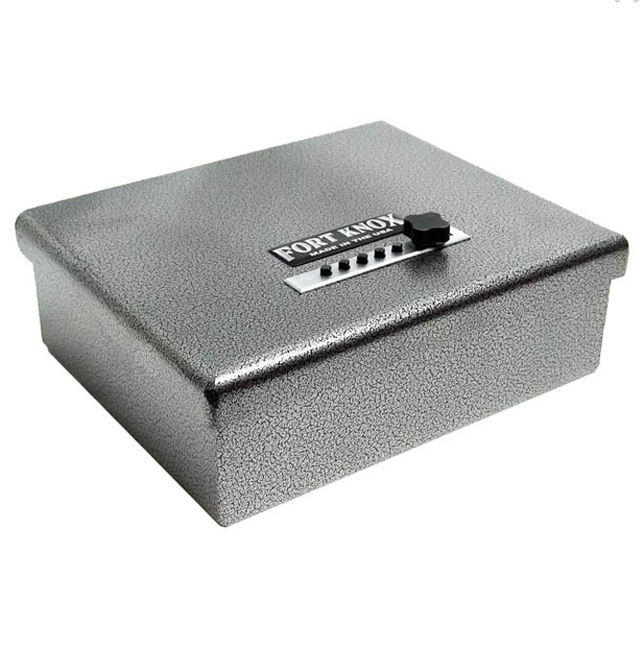 Fort Knox has designed this pistol box with strength and reliability in mind. "It's pretty tough to beat this Fort Knox pistol box — and I mean that literally. With its thick 10-gauge steel body and 3/16" wrap-around door, it would take some big-time hammering to make even a dent. 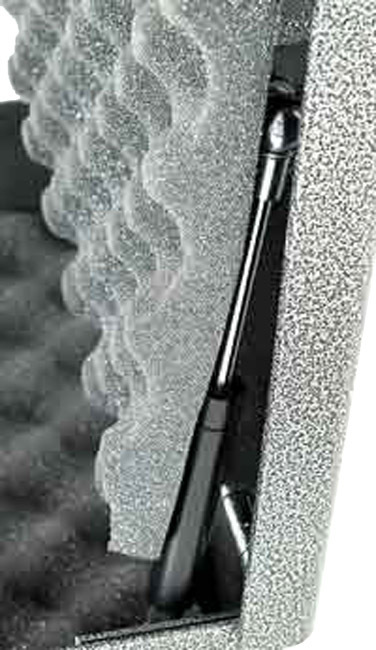 That's the kind of protection you need to have your favorite handgun nearby but safe from sticky fingers." Strength and Reliability are two words that best describe this beautifully crafted Pistol Box. With a thick 10-gauge steel body and a 3/16" wrap-around door, this safe is not only practically impossible to break open but it would be insanely difficult to even dent this handgun safe. The heavy duty tamper-resistant hinge is placed under the door to protect it from attack, yet the gas strut makes it easy to lift the heavy door and have it hold itself open for easy access. It features the tried and true Simplex push-button mechanical lock which is fast and easy to use with the potential of 1,081 different combinations. The antique silver powder coat finish gives a durable yet beautiful look that creates a sense of strength and quality. 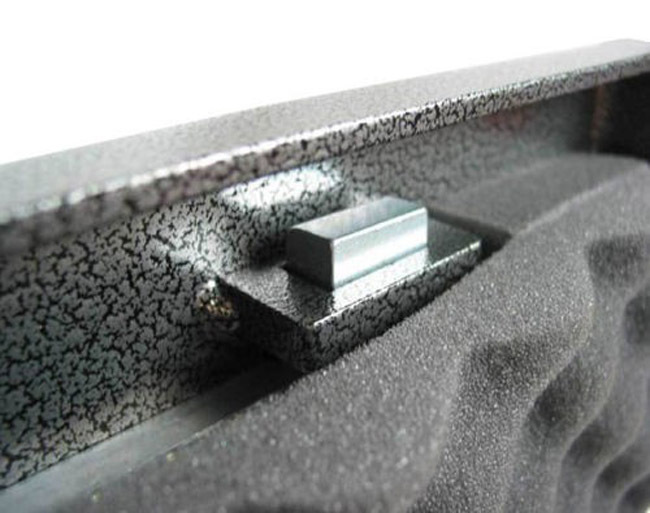 The interior is lined with foam in the style of egg crate to help protect your valuables and guns from damage or scratches. Depending on the size of the gun you can easily fit one and potentially fit two. The pre-drilled holes in the bottom make it convenient to be bolted down to the floor, a drawer, or any other flat surface. 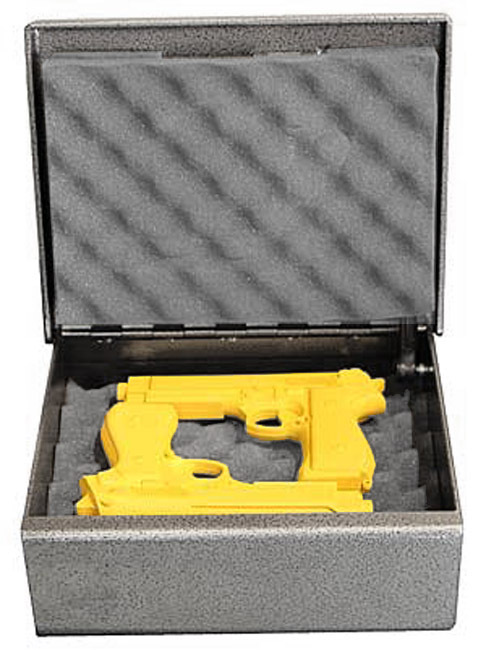 These pistol boxes come with a manufacturer's lifetime warranty and surpasses the California Department of Justice firearm safety device requirements proving its extreme quality. 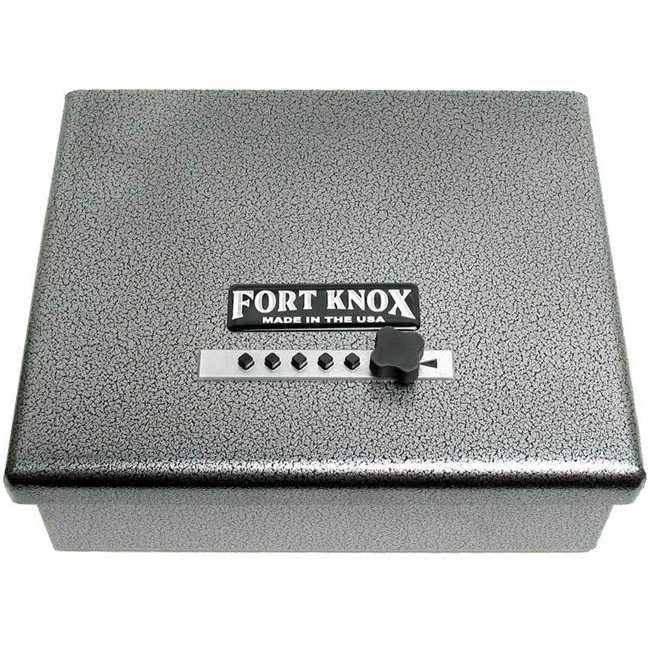 This Fort Knox Original Pistol Box is truly the best bang for your buck.